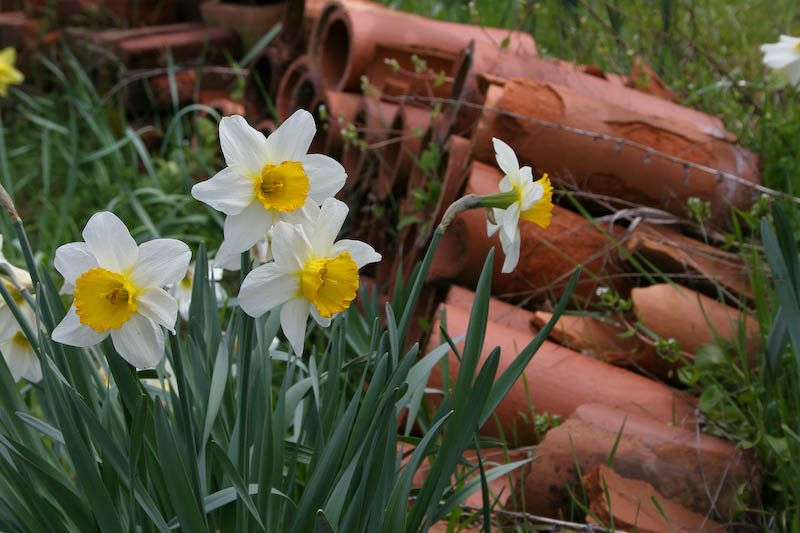 The end of the daffodil season marks the coming of the iris bloom, and these are the last daffies blooming. Nice composition. I don't know what the orange/brown things are..but they create a nice frame for the beautiful daffodils. Our flowers are probably wondering where spring went. We have snow again!